There are many pet food brands that are similar to Purina Pro Plan. These affordable alternatives offer similar amounts of protein, fat, and fiber. Our records also suggest that these substitutes for Purina Pro Plan offer similar (or better) ingredients. In other words, these brands are less expensive alternatives that provide a similar level of quality. On average, the brands we’ve selected for this list are cheaper than Purina Pro Plan by 10% or more. If you’d like to continue feeding Purina Pro Plan, consider using our price comparison or sale section to save money on your next purchase. 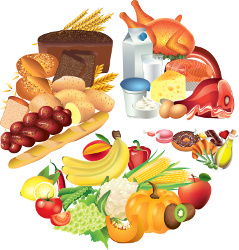 Authority offers comparable dry dog food recipes at an average cost of $1.44 per pound. On average, Authority dry dog food is 25.90% cheaper than Purina Pro Plan. Considering all dry dog foods manufactured by Authority, we've computed an average of 0.06 harmful ingredients and 2.48 controversial ingredients. These averages are less than those computed for Purina Pro Plan (0.90 harmful, 5.05 controversial). Here is an up-to-date list of retailers who currently stock Authority Dry Dog Foods. Beneful offers comparable dry dog food recipes at an average cost of $0.97 per pound. On average, Beneful dry dog food is 50.18% cheaper than Purina Pro Plan. Considering all dry dog foods manufactured by Beneful, we've computed an average of 1 harmful ingredients and 5.20 controversial ingredients. These averages are less than those computed for Purina Pro Plan (0.90 harmful, 5.05 controversial). Here is an up-to-date list of retailers who currently stock Beneful Dry Dog Foods. Pure Balance offers comparable dry dog food recipes at an average cost of $1.50 per pound. On average, Pure Balance dry dog food is 22.61% cheaper than Purina Pro Plan. Considering all dry dog foods manufactured by Pure Balance, we've computed an average of 2.14 controversial ingredients and zero harmful ingredients. These averages are less than those computed for Purina Pro Plan (0.90 harmful, 5.05 controversial). Purina One offers comparable dry dog food recipes at an average cost of $1.44 per pound. On average, Purina One dry dog food is 25.89% cheaper than Purina Pro Plan. Considering all dry dog foods manufactured by Purina One, we've computed an average of 0.86 harmful ingredients and 4.57 controversial ingredients. These averages are less than those computed for Purina Pro Plan (0.90 harmful, 5.05 controversial). Here is an up-to-date list of retailers who currently stock Purina One Dry Dog Foods. Rachael Ray Nutrish offers comparable dry dog food recipes at an average cost of $1.60 per pound. On average, Rachael Ray Nutrish dry dog food is 17.27% cheaper than Purina Pro Plan. Considering all dry dog foods manufactured by Rachael Ray Nutrish, we've computed an average of 0.29 harmful ingredients and 1.41 controversial ingredients. These averages are less than those computed for Purina Pro Plan (0.90 harmful, 5.05 controversial). Here is an up-to-date list of retailers who currently stock Rachael Ray Nutrish Dry Dog Foods. Victor offers comparable dry dog food recipes at an average cost of $1.59 per pound. On average, Victor dry dog food is 17.94% cheaper than Purina Pro Plan. Considering all dry dog foods manufactured by Victor, we've computed an average of 1.71 controversial ingredients and zero harmful ingredients. These averages are less than those computed for Purina Pro Plan (0.90 harmful, 5.05 controversial). Wag offers comparable dry dog food recipes at an average cost of $1.60 per pound. On average, Wag dry dog food is 17.45% cheaper than Purina Pro Plan. Considering all dry dog foods manufactured by Wag, we've computed an average of 1 controversial ingredients and zero harmful ingredients. These averages are less than those computed for Purina Pro Plan (0.90 harmful, 5.05 controversial). Alpo offers comparable wet dog food recipes at an average cost of $1 per pound. On average, Alpo wet dog food is 63.87% cheaper than Purina Pro Plan. Considering all wet dog foods manufactured by Alpo, we've computed an average of 1.20 harmful ingredients and 3.80 controversial ingredients. Although the optimal average number of harmful and controversial ingredients is zero, these values are still lower than those computed for Purina Pro Plan (1.10 harmful, 3.07 controversial). Here is an up-to-date list of retailers who currently stock Alpo Wet Dog Foods. Eukanuba offers comparable wet dog food recipes at an average cost of $2.21 per pound. On average, Eukanuba wet dog food is 20.30% cheaper than Purina Pro Plan. Considering all wet dog foods manufactured by Eukanuba, we've computed an average of 1 controversial ingredients and zero harmful ingredients. Although the optimal average number of controversial ingredients is zero, these values are still lower than those computed for Purina Pro Plan (1.10 harmful, 3.07 controversial). Here is an up-to-date list of retailers who currently stock Eukanuba Wet Dog Foods. 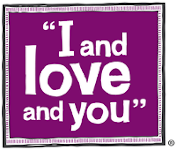 I and Love and You offers comparable wet dog food recipes at an average cost of $2.32 per pound. On average, I and Love and You wet dog food is 16.17% cheaper than Purina Pro Plan. Considering all wet dog foods manufactured by I and Love and You, we haven't found any harmful or controversial ingredients. On the other hand, Purina Pro Plan wet dog food recipes contain an average of 1.10 harmful ingredients and 3.07 harmful ingredients. Here is an up-to-date list of retailers who currently stock I and Love and You Wet Dog Foods. Pedigree offers comparable wet dog food recipes at an average cost of $1.58 per pound. On average, Pedigree wet dog food is 42.75% cheaper than Purina Pro Plan. Considering all wet dog foods manufactured by Pedigree, we've computed an average of 1.41 harmful ingredients and 3.24 controversial ingredients. Although the optimal average number of harmful and controversial ingredients is zero, these values are still lower than those computed for Purina Pro Plan (1.10 harmful, 3.07 controversial). 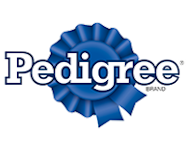 Here is an up-to-date list of retailers who currently stock Pedigree Wet Dog Foods. American Journey offers comparable dry cat food recipes at an average cost of $2.38 per pound. On average, American Journey dry cat food is 12.04% cheaper than Purina Pro Plan. Considering all dry cat foods manufactured by American Journey, we've computed an average of 1.25 controversial ingredients and zero harmful ingredients. Although the optimal average number of controversial ingredients is zero, these values are still lower than those computed for Purina Pro Plan (1.23 harmful, 4.82 controversial). Here is an up-to-date list of retailers who currently stock American Journey Dry Cat Foods. Earthborn Holistic offers comparable dry cat food recipes at an average cost of $2.43 per pound. On average, Earthborn Holistic dry cat food is 10.19% cheaper than Purina Pro Plan. Considering all dry cat foods manufactured by Earthborn Holistic, we've computed an average of 2.33 controversial ingredients and zero harmful ingredients. Although the optimal average number of controversial ingredients is zero, these values are still lower than those computed for Purina Pro Plan (1.23 harmful, 4.82 controversial). 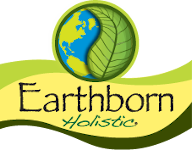 Here is an up-to-date list of retailers who currently stock Earthborn Holistic Dry Cat Foods. Nutrisca offers comparable dry cat food recipes at an average cost of $2.40 per pound. On average, Nutrisca dry cat food is 11.48% cheaper than Purina Pro Plan. Considering all dry cat foods manufactured by Nutrisca, we've computed an average of 2 controversial ingredients and zero harmful ingredients. Although the optimal average number of controversial ingredients is zero, these values are still lower than those computed for Purina Pro Plan (1.23 harmful, 4.82 controversial). Here is an up-to-date list of retailers who currently stock Nutrisca Dry Cat Foods. Pure Balance offers comparable dry cat food recipes at an average cost of $2.21 per pound. On average, Pure Balance dry cat food is 18.39% cheaper than Purina Pro Plan. Considering all dry cat foods manufactured by Pure Balance, we've computed an average of 0.60 harmful ingredients and 1.20 controversial ingredients. Although the optimal average number of harmful and controversial ingredients is zero, these values are still lower than those computed for Purina Pro Plan (1.23 harmful, 4.82 controversial). Here is an up-to-date list of retailers who currently stock Pure Balance Dry Cat Foods. Taste of the Wild offers comparable dry cat food recipes at an average cost of $2.26 per pound. On average, Taste of the Wild dry cat food is 16.47% cheaper than Purina Pro Plan. Considering all dry cat foods manufactured by Taste of the Wild, we've computed an average of 1.50 controversial ingredients and zero harmful ingredients. Although the optimal average number of controversial ingredients is zero, these values are still lower than those computed for Purina Pro Plan (1.23 harmful, 4.82 controversial). Here is an up-to-date list of retailers who currently stock Taste of the Wild Dry Cat Foods. 9 Lives offers comparable wet cat food recipes at an average cost of $2.02 per pound. On average, 9 Lives wet cat food is 56.01% cheaper than Purina Pro Plan. Considering all wet cat foods manufactured by 9 Lives, we've computed an average of 1.36 harmful ingredients and 3.55 controversial ingredients. Although the optimal average number of harmful and controversial ingredients is zero, these values are still lower than those computed for Purina Pro Plan (1.67 harmful, 3.35 controversial). Here is an up-to-date list of retailers who currently stock 9 Lives Wet Cat Foods. Purina Friskies offers comparable wet cat food recipes at an average cost of $1.64 per pound. On average, Purina Friskies wet cat food is 64.33% cheaper than Purina Pro Plan. Considering all wet cat foods manufactured by Purina Friskies, we've computed an average of 2.21 harmful ingredients and 3.85 controversial ingredients. Although the optimal average number of harmful and controversial ingredients is zero, these values are still lower than those computed for Purina Pro Plan (1.67 harmful, 3.35 controversial). Here is an up-to-date list of retailers who currently stock Purina Friskies Wet Cat Foods. Tiny Tiger offers comparable wet cat food recipes at an average cost of $2.89 per pound. On average, Tiny Tiger wet cat food is 37.13% cheaper than Purina Pro Plan. Considering all wet cat foods manufactured by Tiny Tiger, we've computed an average of 0.83 harmful ingredients and 2.17 controversial ingredients. Although the optimal average number of harmful and controversial ingredients is zero, these values are still lower than those computed for Purina Pro Plan (1.67 harmful, 3.35 controversial). Here is an up-to-date list of retailers who currently stock Tiny Tiger Wet Cat Foods. Whiskas offers comparable wet cat food recipes at an average cost of $3.46 per pound. On average, Whiskas wet cat food is 24.74% cheaper than Purina Pro Plan. Considering all wet cat foods manufactured by Whiskas, we've computed an average of 1 harmful ingredients and 1.50 controversial ingredients. Although the optimal average number of harmful and controversial ingredients is zero, these values are still lower than those computed for Purina Pro Plan (1.67 harmful, 3.35 controversial). Here is an up-to-date list of retailers who currently stock Whiskas Wet Cat Foods. WholeHearted offers comparable wet cat food recipes at an average cost of $3.84 per pound. On average, WholeHearted wet cat food is 16.44% cheaper than Purina Pro Plan. Considering all wet cat foods manufactured by WholeHearted, we've computed an average of 0.71 harmful ingredients and 0.41 controversial ingredients. Although the optimal average number of harmful and controversial ingredients is zero, these values are still lower than those computed for Purina Pro Plan (1.67 harmful, 3.35 controversial). Here is an up-to-date list of retailers who currently stock WholeHearted Wet Cat Foods.